Tag Archives: Kids say the darndest things. It’s that time of the year for too many commitments and even less time. 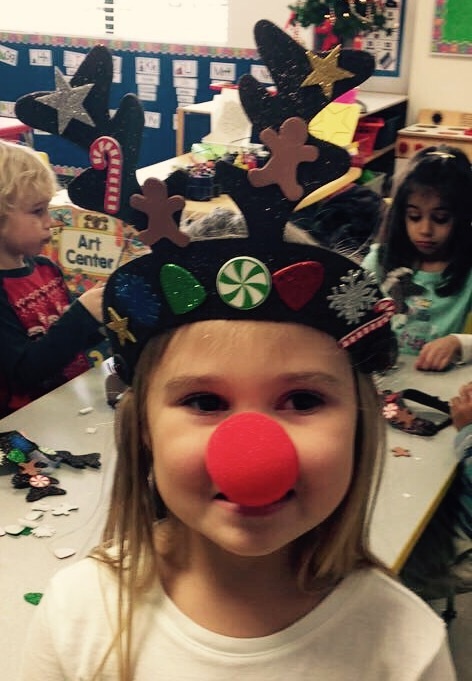 My daughter Ally found herself having to regretfully tell her four year-old daughter, Kendyll, that she would not be able to attend the pre-schooler’s Christmas party. Guilt got the best of Ally and she took off halfway through her work at our family farm today to attend the party. Surprisingly, she was greeted as she walked in by a couple of staff members. “Kendyll said you were working at the barn today and couldn’t come” the one teacher said. “Well, as long as you are here-we have some questions for you” chimed in another. “Does Kendyll really have her own horse and ride all by herself?” was the first question. “Yes, she does. She has been riding since she was little” Ally told them (most would think four was young, but I digress). “She said that her granny, aunt and you ride as well” came the next question. But then came the best question of all! “Is she in Afghanistan?” the other teacher eagerly asked. Ally was a little confused. Lauren and the armed services are not things that go together naturally. Then the light came on. From the mouths of babes, Kendyll had heard us talk about Trapp (Lauren’s trainer) being a Marine. In her head, she had put together that Lauren was in the Marines!! Wow, that is the best thing ever. Lauren might argue that training with Trapp is like being in the Marines. Everyday is boot camp. Anyway, precocious, articulate four year-olds are always listening and picking up way more than we think. Guess we better watch what we are saying because Kendyll is on a listen and tell mission. These roses are blooming next to the barn right now. Anyway, I hope you all are staying warm as this cold front descends on the nation. Slow down and enjoy the season.